Wednesday, May 25, 2016 by: Isabelle Z. The FDA has issued a consumer warning entitled "Xylitol and Your Dog: Danger, Paws Off," which warns that xylitol can be fatal to dogs. The substance is quickly absorbed into their bloodstreams, triggering a sudden and fast release of insulin from their pancreases which causes their blood sugar levels to drop to dangerously low levels. How can you tell if your dog might have consumed xylitol? The symptoms include vomiting which is followed by signs of a sudden blood sugar drop, such as weakness, collapse, lack of coordination and even seizures. If you suspect your dog might have xylitol poisoning, it is important to bring him to a vet right away for treatment and observation. Even people who actively avoid sweeteners in foods like candy might be surprised to find that they have xylitol lurking somewhere in their home. It is commonly used in sugar-free gum and household products such as mouthwash, toothpaste, vitamins, mints and cough syrups. All foods and other products that contain xylitol should be kept out of reach, and people should never use human toothpaste to brush their dogs' teeth. CBS News reports that the ASPCA's Animal Poison Control Center has seen a dramatic jump in xylitol-related calls over the past decade, with the number rising from just 82 in 2004 to 3,700 in 2014. In fact, the Pet Poison Helpline has noted a 15 percent rise in these calls so far this year. The problem appears to stem from the fact that dogs process the chemical, which is a sugar alcohol, in different ways than humans do. 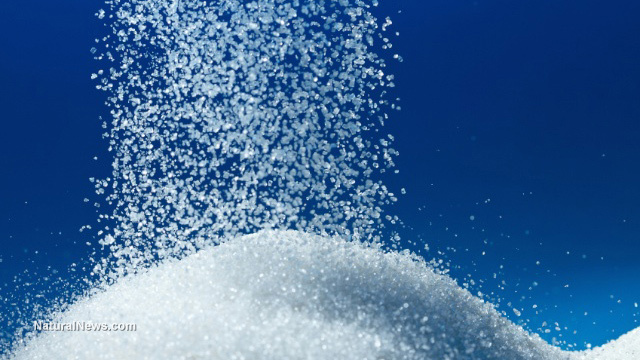 The FDA statement says, "In people, xylitol does not stimulate the release of insulin from the pancreas. However, it's different in canines: When dogs eat something containing xylitol, the xylitol is more quickly absorbed into the bloodstream, and may result in a potent release of insulin from the pancreas." Xylitol has also been known to cause intestinal discomfort in humans. People who consume a lot of it at once often report diarrhea or cramping. Although it can be beneficial for dental health and even ear infections, the fact that it is so deadly to dogs will certainly give many people pause before consuming it. The truth is that many artificial sweeteners are a lot worse for the body than sugar itself. Saccharin, aspartame and sucralose have been linked with metabolic issues, weight gain and even cancer. While xylitol is generally considered one of the safer sugar substitutes, keep in mind that this is all relative, and certainly doesn't apply to dogs! In addition, it is sometimes made from GMO corn, so it's important to look out for organic varieties and check sources carefully if you choose to consume it. The best course of action is to avoid sweeteners altogether, and instead opt for food that is naturally sweet, such as organic fruit.